Jennifer Fox has more than 20 years of legal experience and focuses her practice primarily on family law, but also family related criminal matters. She handles divorce cases of all levels of complexity including custody, visitation, child support, spousal support and other domestic relations issues. Jennifer graduated from James Madison University in 1991 and received her J.D. from the District of Columbia School of Law in 1995, where she graduated with honors. Jennifer is a leader in her both field and her community. 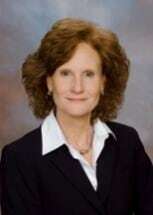 She is presently a member of the Richmond Metropolitan Family Law Bar; Metropolitan Richmond Woman’s Bar; Lewis F. Powell, Jr. American Inn of Court, and Hanover Bar Associations. Through the years, Jennifer has been a moderator and featured speaker at continuing legal education programs at the Richmond Bench-Bar Conference and other bar association forums on the topic of spousal support and protective orders. She lives in Hanover County with her husband and is passionate about meeting the needs of the underserved in her community. Currently, she is President of the Ashland Rotary Club and Chairman of the Board of the Patrick Henry YMCA. While serving as Vice President of the board of Big Brothers Big Sisters of Richmond, she led the committee to extend its services to Hanover County. She has mentored high school students and been a speaker for the “So you are 18” legal rights and responsibility program at Lee-Davis and Patrick Henry schools.